Durability, presentable appearance, environmental friendliness, ease of operation, resistance to atmospheric precipitation (wind, rain, snow, sun rays, etc.) can only characterize all this with one finishing building material - natural stone. 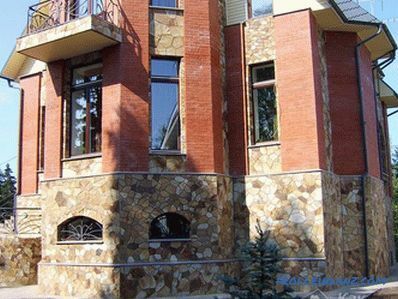 To facing the facade of the house with natural stone with your own hands was done at the highest level, it is important to follow a number of rules and requirements. About this you can learn from this article. Excellent appearance. The modern market offers a large selection of different types of natural stone, ranging from smooth tiles to strip-shaped tiles. It is possible to realize any design ideas, for example, to create the effect of a wall made of wild stone, brickwork and the like. The facade of natural stone is practical in care, and also resistant to various atmospheric precipitation. Such a facade will be durable. Often, separate sections of walls are made of natural stone, for example, corners, basement, perimeter of windows and doors. 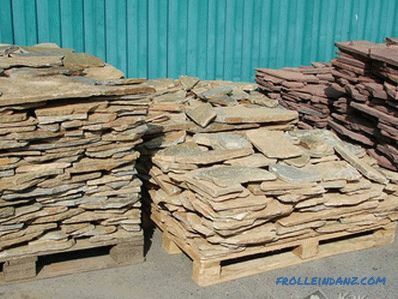 Natural stone in its structure is rather dense and weighty, so if a house has a weak foundation, then the stone can have a negative impact on it, and in some cases the foundation will be subject to deformation. If the laying technology is not followed, some parts of the stones fall off the facade. This may be affected by the degree of thermal expansion of the mortar and stone. 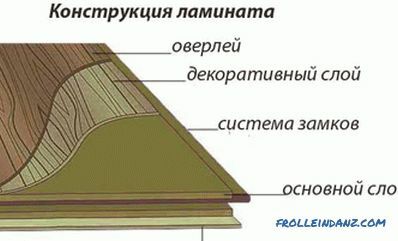 There are several types of natural stones that are used for cladding the facade. Each of them has individual technical characteristics. Granite. This stone is highly frost resistant. It is presented in a variety of colors. Marble. 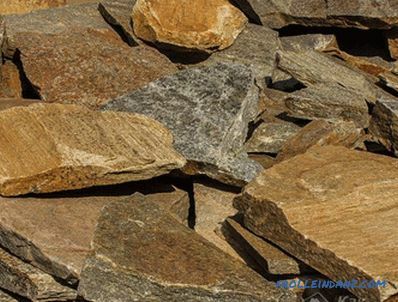 This stone is often used for facades and is represented by different colors and patterns. Basalt. In appearance it resembles granite. Quartzite. 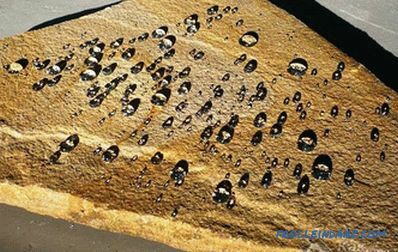 It is characterized by high hardness with the presence of glossy quartz grains. Limestone. The special density makes the stone extremely popular. Quartz slate. The stone has a large range of colors from black to light tone. Travertine. Mostly brown or beige limestone tuff with a porous structure is used. 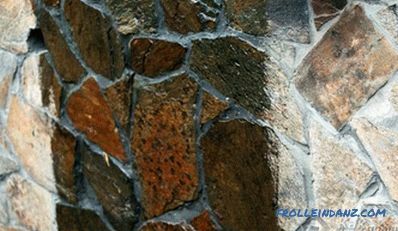 There are basic rules and requirements for installation work that are independent of the type of stone. Compliance with these rules will allow to achieve the desired result. Natural stone with a sawn surface and a special texture is much heavier than polished stones. For this reason, they should be laid on cement mortar, and all joints should be filled with a special sealant. 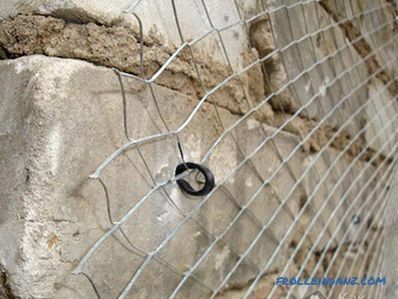 If the slab of stone does not exceed the size of 0.4 m 2 , and its thickness is not more than one centimeter, then there is no need to use additional fasteners. When laying the stone, it is necessary to leave small gaps. The base is recommended to be covered with a stone of a darker color. This is due to the fact that there will be less visible pollution. Facing the eaves and windows. Now let's consider each stage separately. The first thing to begin is to prepare the work surface. Everything is very simple here. It is important to remove all dust and dirt. Also, the preparatory work will depend on the material from which the walls are made. 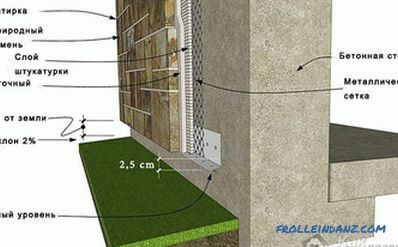 If the wall is lined with bricks, then in the presence of edges it is not necessary to nail the metal mesh. If the brick is smooth, then you can't do without it. This also applies to the mandatory packing of the mesh on the walls of foam blocks, gas silicate blocks and gas blocks. If the walls are plastered, then dust and dirt must be removed from the surface. In order to guarantee a better result, the use of a mesh is recommended in all cases: the stone will have a much better grip. 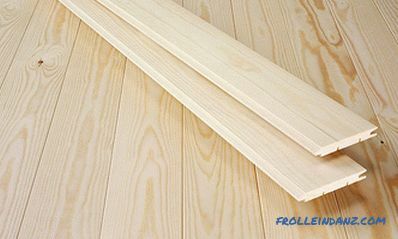 The grid is fastened with dowels in the ratio of 10 pieces per 1 m 2 . When the grid is full, it is necessary to measure out the starting level. It is for him and will be laid out the first row. You can use a laser level to determine the level. First of all, the stone is laid out in the corners. A string is pulled between the corner stones. 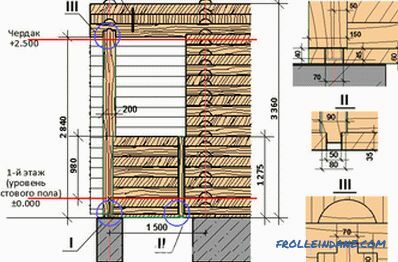 The first row is laid out on this thread.This will allow to observe the exact geometry of the cladding of the entire facade. Each stone must be individually spread with mortar. The section of the wall on which the laying will be performed is also coated with mortar. The first two or three rows as a level it is advisable to use a thread, and only after apply the normal level. 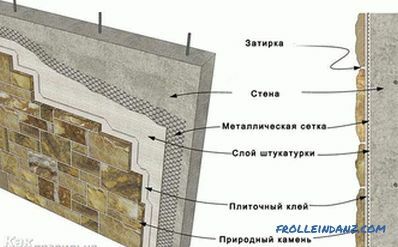 Throughout the laying of the stone, it is necessary to check the angle of inclination of the cladding. When the walls are lined, you can proceed to the facing of the eaves and windows. 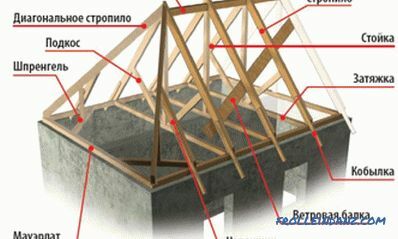 Eaves are laid out strictly on a string, and stones of the appropriate size are selected on the slopes of the windows. In these places, the stone must be laid smoothly, otherwise the whole appearance will be spoiled. Usually, in the first place, angles, cornices and window slopes are striking. Therefore, in these places should especially try. When all the work is done, it is necessary to carry out a number of works that will give the facade complete look. For example, wall cladding must be treated with a water repellent. 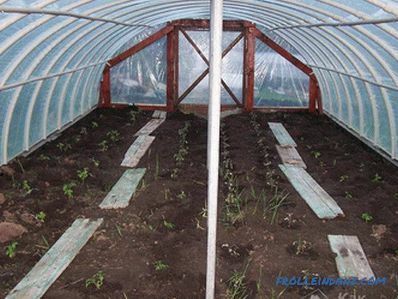 This solution will repel the fungus, will not allow vegetation and moss to appear. In this case, the liquid will prevent the blackening of the stone. If you follow all the above tips and recommendations, you can qualitatively make the facade cladding natural a stone.